To be included in the book, the site won’t cost you more than $25 per night for a powered site (when power is available). In some remote locations when there are no other options, a more expensive site may be listed with a $+ symbol. The book is perfect for people who either can’t afford the cost of caravan park fees or prefer not to stay in parks. With more nomads hitting the road to do a lap of the country, the book comes in handy for RV travellers in every state of Australia. The cost of the book can be recouped in just two to three nights staying at a low cost or no cost campground instead of a caravan park. More moola for the marshmallows. Handy site information included in listings is the availability of toilets, disabled facilities, shade, fireplace, power, dump points, mobile phone reception, views or lookouts and the suitability for Big Rigs. 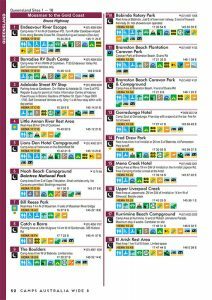 It’s fair to say many of the campsites aren’t well signposted. You won’t find any of those handy blue beacons with a picture of a caravan on the roadside with the number of kilometres before you turn off to the local 5-star caravan park here. That’s why GPS was invented. Most GPS units one of these settings. Just make sure you have the right setting selected on your GPS then enter the coordinates listed in the book. 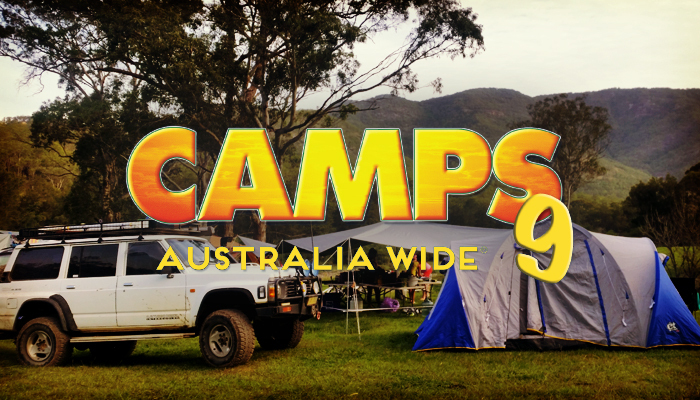 The Camps Australia Wide book uses Lat./ Long –minutes-seconds, or DMS (ddd mm ss) so you can find your site and set up camp before the sun sets. Just make sure you have the right setting selected. If you are a Hema advocate, you’ll be glad to know camp sites are overlaid onto Hema Maps. Camps is available in a few different formats. The A4 and B4 book. Both have the same text and maps but the B4 version has a photo of the overnight stay included if available. 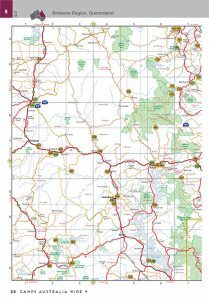 The Camps Australia Wide 9 with Camp Snaps is a hardcover book with more than 2,700 site photos. The Camps Australia Wide 9 book is a 400 page A4 paperback book or you can choose the Spiral Bound version. State by state indexing is available at the front of the books. To keep your book up to date between releases, use the free online ‘Update Service’ on the Camps website.